Quick poster for a gig I'm hosting next month. Amazing line-up! Glasgow's league-topping indie five-asiders, Spinning Coin (Geographic), bring us Permo! 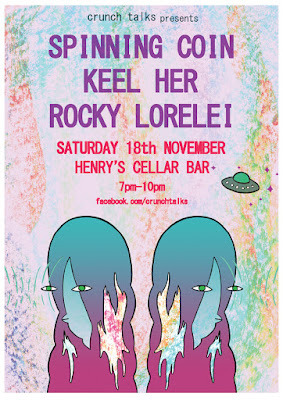 Support comes in the form of an ultra-rare appearance from London-based lo-fi legend Keel Her (Critical Heights, O Genesis) and her band, plus a full-band set from Glasgow's best-kept secret Rocky Lorelei.